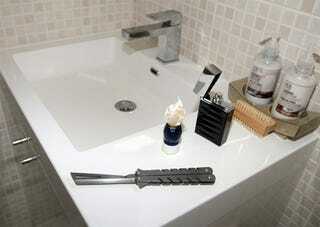 Who Would Dare Use The Butterfly Knife Razor? It's times like these that I'm glad I'm a woman and never have to shave my face. Hopefully it'll stay that way when I'm 60, otherwise I'll be looking down the barrel of a butterfly razor like this one.